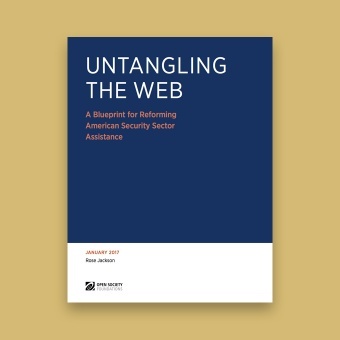 This report describes the failures in U.S. security sector assistance and offers recommendations for the next administration to improve, plan and execute its security-related assistance. SAM's data is cited to demonstrate the rapid increase in U.S. security sector assistance spending since 9/11. In a new report William Hartung analyzes U.S. arms transfers to the United Arab Emirates and the key role that the UAE plays in the Saudi-led coalition in Yemen. Director of SAM, Colby Goodman is quoted discussing the increased oversight for security assistance programs given to the State Department in the National Defense Authorization Act for fiscal year 2017. SAM Program Manager Seth Binder is quoted and our data is used to demonstrate the significant decrease in U.S. funding for the Palestinian security sector. 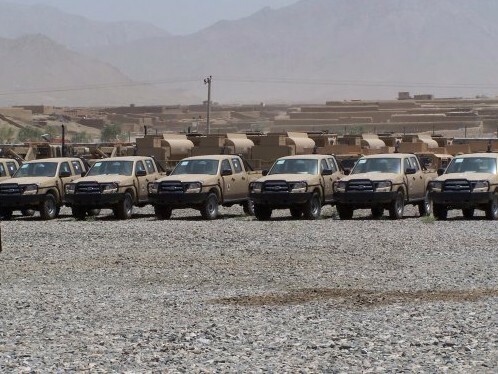 Special Inspector General for Afghanistan Reconstruction’s (SIGAR) High-Risk List report found that a high percentage of fuel provided by the United States is stolen and that Taliban commanders often give instructions to their forces to buy fuel from the Afghan army and police. The theft of fuel not only robs U.S. taxpayers and damages the reconstruction effort, but profits from selling the stolen fuel can wind up in the hands of insurgents. In 2017 alone the United States has allocated over $350 million on Logistics Sustainment including Petroleum, Oil, and Lubrication (POL) products for the Afghan National Army (ANA) and the Afghan National Police (ANP). The People’s Protection Units (YPG), the Kurdish rendition of the Turkish PKK, upsets Turkey, spreading PKK influence and expanding Kurdish operations. Turkish President Recep Tayyip Erdogan unmoved by Obama's assistance due to his support for the Kurdish YPG, looks forward to relations with the Trump administration. Training for officers providing security assistance in Saudi Arabia start this month. U.S. military intends to focus on rapid response and integrating military components and domains, instead of focusing on single area concerns, as they have done in the past. Secretary of State nominee, Rex Tillerson, faced the Senate Foreign Relations Committee last Wednesday. During his hearing he stated that the U.S. should provide Saudi Arabia better targeting intelligence to avoid mistakenly hitting civilians and that the U.S. needs to keep their longstanding relationship with the Philippines in perspective when discussing President Duterte’s violent anti-drug campaigns. The estimated cost is $25 billion. The estimated cost is $1.7 million. Copyright © 2017 Center for International Policy, All rights reserved.